S’eclairer is a beautiful center that delivers Integrative Psychiatric Care. It is science-based, patient-centered grounded in a compassionate concern of the whole person (body, mind, soul, and spirit) as well as all aspects of lifestyle. Historically, S'eclairer has provided a culture of excellence in Integrative Psychiatric and Lifestyle Medicine for professional advancement. We continue on this journey of progress by providing educational opportunities such as grand rounds, conferences, seminars as well as retreats that promote self-care. 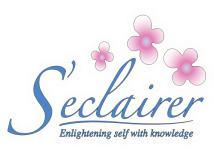 Additionally, S'eclairer's culture of excellence stretches into our professional community by providing Dialectical Behavioral Therapy training upon request from your agency. This kind of collaboration can build a joint effort of goodness and excellence. Check out our Conference page for information from past and future events! For information about these trainings, call S’eclairer at 724-468-3999. Our expert trainers will talk with you about these programs and can come to your agency to train you and your staff. Psychiatry Grand Rounds provides an opportunity for mental health professionals to discuss clinical issues in a collegial environment. Every session includes a guest speaker, and plenty of time to discuss topics of interest over dinner.